MORINGA OLEIFERA (Drumstick) is a plant that has been praised for its health benefits. It is very rich in healthy antioxidants and bio-active plant compounds. The seeds of Moringa oleifera plant are among the most nutritious and most beneficial botanical products available. These Moringa Seeds have been known for their wonderful medicinal properties and are used as herbal remedies. 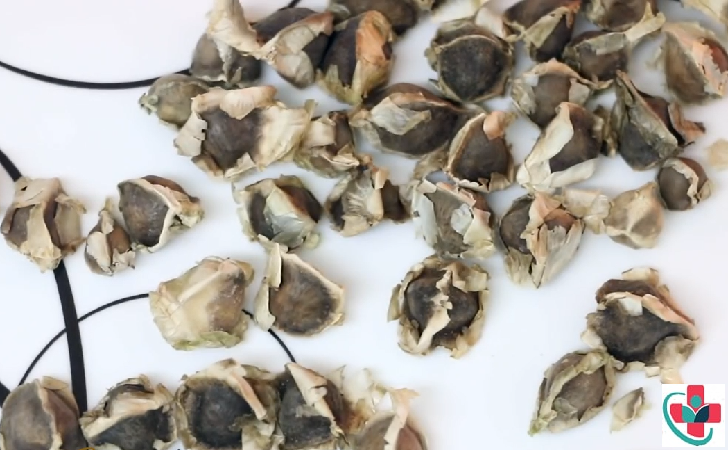 Moringa seeds offer various health benefits and are also known to be used as nutritional supplements and for industrial as well as agricultural purposes. These seeds are edible, both in their fresh as well as their dried forms. The seeds can be boiled, steamed, or roasted and eaten as a snack and can also be included to many of your favorite recipes for a high-protein, low-sugar, high-potassium, high-omega FA, high vitamin C health boost. Continue reading to find out lots of benefits of moringa seeds. Almost all parts of the Moringa oleifera tree can be eaten or used as ingredients in traditional herbal medicines. The leaves and pods are commonly eaten in parts of India and Africa. It is rich in various antioxidants, including quercetin and cholorogenic acid. Moringa leaf powder can increase blood antioxidant levels. Studies have shown that Moringa oleifera may help lower blood sugar levels. It can lower cholesterol levels in the blood, which should lead to reduced risk of heart disease. Long-term exposure to arsenic may increase the risk of cancer and heart disease. The leaves and seeds of Moringa oleifera may protect against some effects of arsenic toxicity. Make sure that you start at the lowest amount and only when you determine how your body reacts to it, gradually increase the dose. It must also be noted, that as more research on this is still required, so there may be some side effects of the Moringa Seeds. So, use caution, and in case you find anything odd happening with your health after taking Moringa Seeds, do visit a doctor on an immediate basis. You might experience side effects like severe rash, heart palpitation, hives, dizziness etc.